Dog training is an art! As artists, we all approach our work in different ways. The most important part in our case, is that you end up with the best result as possible. We take each and every case very personally, and we always want the best for our clients. There are different training programs for different people with different lifestyles. The truth is, all the programs work. The key is the relationship the owner establishes with their dog. What we mean is, you are going to have to put time in with your dog and the time you put in has to be the way we teach you. There is a saying that I believe to be very true… Practice does not make perfect, perfect practice makes perfect. As experienced professionals, we can read a dog very quickly and see what the owner is, or is not, doing with them. We know what the dog is capable of and we know when the owner is not following the program. As I stated before, there are no real “Dog Whisperers” there are simply a few simple tools you need in order to begin to communicate with your dog. In most cases, we recommend our board and traing two week dog aggression boot camp training program. You can read more details about the program below. 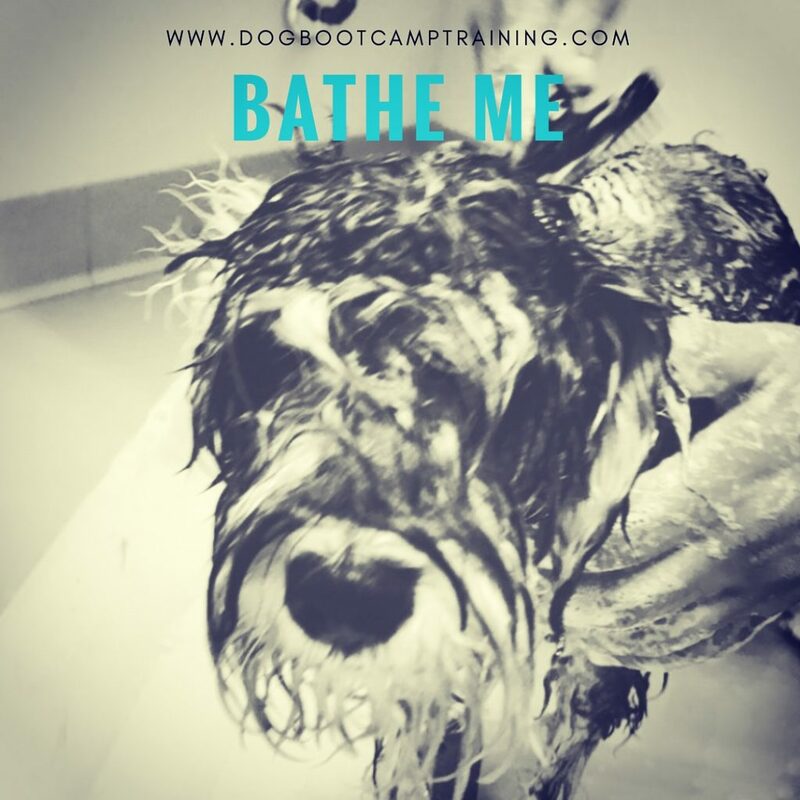 It is best to call us so we can get a better understanding of your dog’s aggression and explain what would be the best course moving forward. In some cases, such as when we cannot actually handle your dog without getting bitten, we may recommend an in-home private training course. At K-9 Behavior Services we have put together training programs to match any lifestyle and to meet any goals you might have, whether that be for your pet or your working dog. Below is a list of training programs for you to consider. Please call us to discuss which program would work best for your particular situation. The following dog training programs are offered in Los Angeles, Ventura, and Orange County areas. We are also now offering these programs in the San Francisco Bay Area, Stockton, Modesto, and the San Jose area. ~ Any additional commands can be discussed and incorporated, depending on the client’s expectation. Trainer goes to your home and trains with you and your family. ~ 8- 1 Hour training sessions. Training sessions are one week apart. ~ Additional training sessions are often added at the client’s request. * You must participate in all training sessions and work your dog daily. This is a very popular training program and can render great results when approached and executed properly. We require the follow up sessions after your dog is home so that we can make sure the training is successful. ~ We come to your home to pick up your dog and meet with you and your family to discuss your dog’s behaviors and what your expectations are for the training program. ~ Your dog comes to our training facility for four weeks of training. ~ We drop your dog with a two hour training session. Then, we will come back once a week for an hour for three weeks and train with you and your family to make sure you are on track with your dog and getting the most out of the training. ~ Because many of our client’s have high profile and demanding lifestyles, this is a very popular training program. We understand the need to have the ‘difficult’ part of the training taken care of for our clients. * You must participate in all follow up sessions and work your dog according to instructions. Service dog training is a very unique and specialized type of training. Learning how to effectively train service dogs typically takes many years. In our case, we have been training service dogs for well over 15 years. We have trained many dogs for people with Multiple Sclerosis. We have been referred by the Multiple Sclerosis Society and we have done many seminars for Multiple Sclerosis support groups. We have worked with people with Multiple Sclerosis, Muscular Dystrophy, PTSD, Autism, stroke victims, individuals in wheel chairs, and much more. ~Please call us so that we can discuss your specific situation. ~The cost will be based on your dog’s aptitude for the work. ~The breeds that are best suited for this kind of work are the Golden Retrievers, Labradors, Goldendoodles, and Labradoodles. ~It is best to start your dog very young and exercise their minds specifically for this type of work. This program is for people who want their dogs trained for personal protection. This is a specialty type training that requires a level of aptitude from your dog. Not all dogs can qualify for this type of training. We will only work with dogs that are social, stable, and outgoing. We will not work with dogs that are showing unwarranted aggression. This program can be done with Private Training sessions, Board & Train, or a combination of both. ~Please call us so that we can discuss what will be best for you and your dog. ~The breeds that are best suited for this kind of work are the Belgian Malinois, the German Shepherd Dog, and the Dutch Shepherd. ~It is best to start your dog very young to build his character, teach grip development and technique. We have many clients that enjoy training with us and wish to continue with training. We assess their goals and help them to reach those goals. We typically offer four training sessions at a time and work towards achieving higher levels of training than basic obedience. We have clients that are involved in competitive sports, and some clients simply want to get a C.G.C. (Canine Good Citizen) title on their dog. Whatever the goal at hand, we are confident that our experience and professionalism will get you where you want to go. WHAT'S NEW WITH MY NO KENNEL SHORT TERM DOG AGGRESSION BOOT CAMP TRAINING PROGRAM? 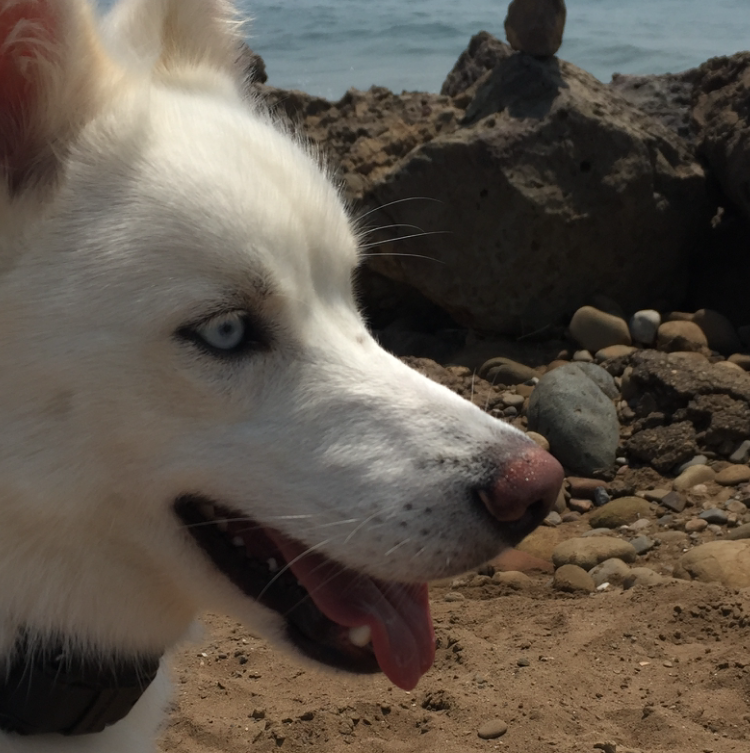 I am currently offering a unique two week Dog Boot Camp Program for people in the Los Angeles, Orange County, and Ventura County areas! In this dog training program I will keep your dog with me all day. Your dog will not be left in a kennel at any time, NO KENNELS! Your dog will with sit with me, walk with me, socialize with me, etc. ; and the program is only about 14 days. 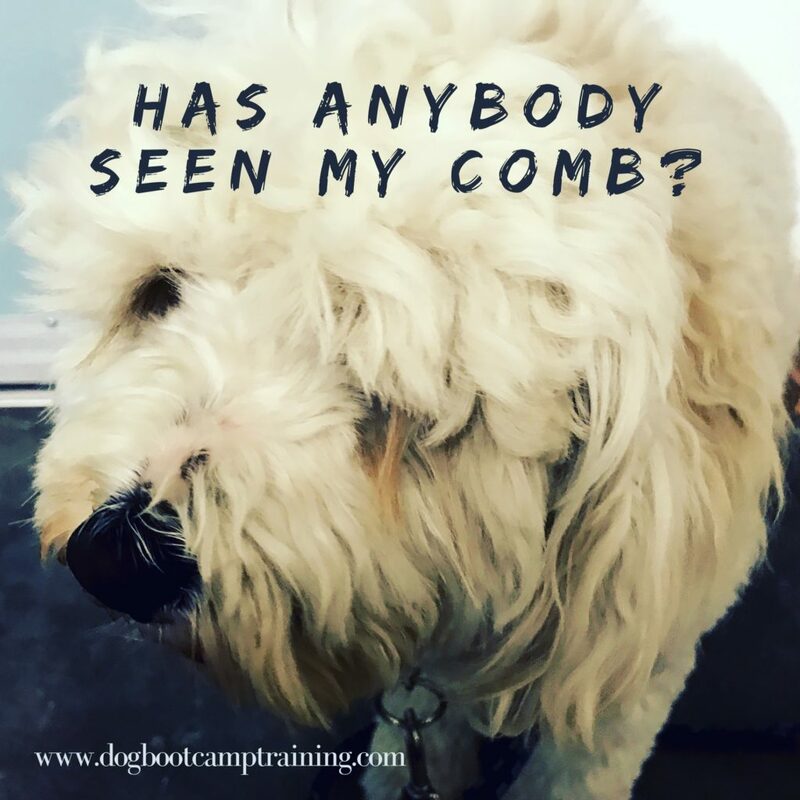 The problem with most dog boot camp and dog aggression boot camp programs is that your dog will sit in a kennel for 23 hours a day, with only one single one hour training session per day, and in most cases no training on the weekends. Call me today for more information. WHAT IS SERVICE DOG TRAINING? Service dog training is a very complex type of training that takes many years to perfect. There are many different types of service dogs, and many different tasks that service dogs can perform. One of the most important things is that your service dog qualifies to be a service under ADA requirements. We are now proud to offer dog boot camp training in Hollister, San Luis Obispo, Paso Robles, Solvang, Salinas, Morro Bay, Big Sur, Orcutt, Santa Maria, Nipomo, Gilroy, Santa Cruz, San Jose, Atascadero, Soledad, Monterey, and surrounding areas. OUR DOG TRAINING METHODS HAVE BEEN PROVEN IN LOS ANGELES, VENTURA, SANTA BARBARA, AND ORANGE COUNTY FOR MANY YEARS! The best way to find out if a dog trainer is as good as he claims, is by talking to his clients first hand. We offer many referrals, ranging from past small dog clients to current large dog clients, aggressive mean dogs to friendly obnoxious dogs. We are the best dog trainers in Los Angeles and Ventura county and we can prove it! Simply call us today and ask for referrals. We will set you up initially with a number of referrals, no matter what kind of training you are seeking. From obedience to protection, and even Service Dogs for the disabled, we are the best! CALL TODAY TO SEE IF WE RECOMMEND A DOG TRAINER IN YOUR AREA! We offer Dog Training in Los Angeles and Ventura County. Including, Dog Training in Valencia, Stevenson Ranch, Porter Ranch, Simi Valley, Dog Training in Santa Clarita, Thousand Oaks, Moorpark, Camarillo, and surronding areas. We also have Dog Training clients in Orange County, including Dog Training in Irvine, Costa Mesa, Huntington Beach, and surrounding areas. We have recently added dog training, doggy boot camp, and in home dog training in the San Francisco Bay Area, Stockton, Modesto, and the San Jose area, Folsom, El Dorado, Orangevale, Fair Oaks, Roseville, Rocklin, Loomis, Carmichael, and Citrus Heights. WE EVEN GET OUT OF STATE DOG TRAINING CLIENTS! Our out of state Dog Training clients have the option of sending their dogs to us for Doggy Boot Camp. Upon the finishing of the training, the client can come to us and stay for a few days to receive one on one training with us. This Dog Training Boot Camp Board and Train program is a very popular and successful program. We even had dogs come to use for service dog training from Hawaii! CAN MY DOG BE TRAINED TO BE A PROTECTION DOG! It's possible that your can be trained to be a protection dog. However, your dog does need to have the character for the work and must have the right drives. There are also many different expectations that people may have for their dogs when they ask this question. Some people simply want a dog that will bark at people and scare them. Other people want a dog that will repel from a helicopter, jump through a ring of fire, tackle the bad guy, hand cuff the bad guy, and then drive the bad guy to jail. Dog Training Programs For Responsible Dog Owners! 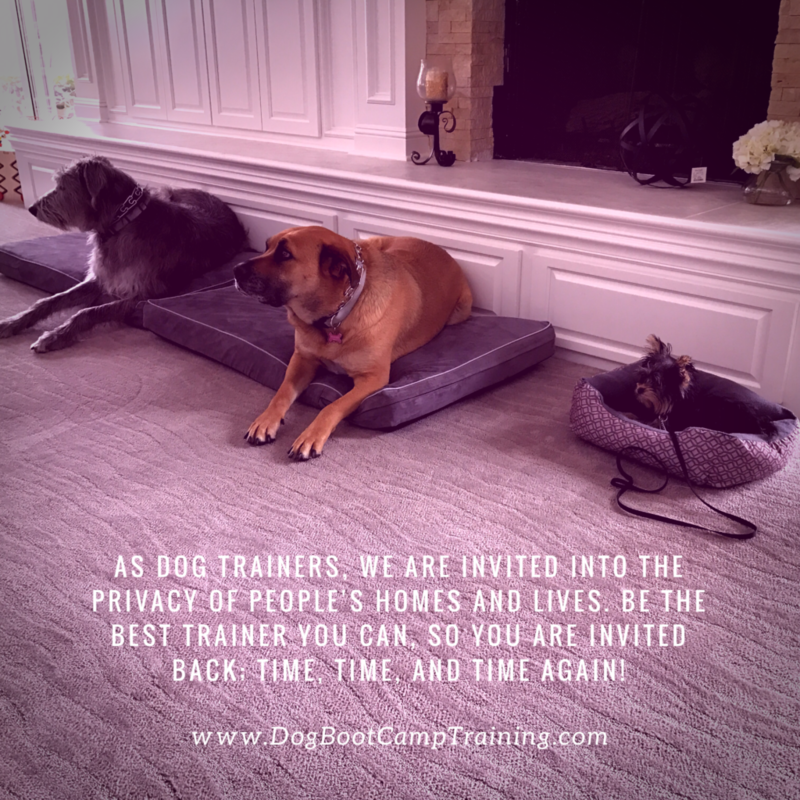 DOG BOOT CAMP TRAINING ALONG THE CENTRAL COAST: We are now proud to offer dog boot camp training in Hollister, San Luis Obispo, Paso Robles, Solvang, Salinas, Morro Bay, Big Sur, Orcutt, Santa Maria, Nipomo, Gilroy, Santa Cruz, San Jose, Atascadero, Soledad, Monterey, and surrounding areas. Above is Pepper, in all of her bathing glory! Pepper is a really cool little Mini Schnauzer. She is super friendly most of the time, but she can get a little snotty with strangers and dogs. She is young, so my concern for my clients is that when their dogs mature, the minor aggression will turn into a problem. 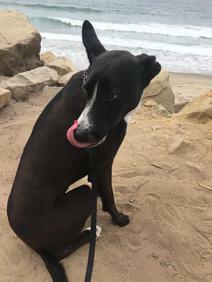 Pepper’s owner made a very wise decision to send her to our Van Nuys dog aggression boot camp training so we could start getting the aggression under control. Pepper is back at home since finishing our Los Angeles dog aggression boot camp, and doing well. She is still testing her owner, but we are still working with the owner to make sure the aggression is managed. In many cases, dog trainer are able to handle dogs but the clients struggle. Obviously as professional trainers, we have been doing this so long that our timing is very accurate. Therefore, it is very important for a trainer to continue to communicate with his clients and make sure the client is supported. Dog training really isn’t that difficult, and there really is no reason for clients to fail. I have had the privilege of ​being welcomed into people’s homes for over 20yrs to train their dogs, to be trusted with their homes, families, and privacy. It has been an experience that has changed my life, in many ways. Most of my clients invite me in and treat me like family, as they know I will be training and caring for their dogs, that they also consider family. These particular clients are Bode Miller & Morgan Beck Miller. Bode is a six-time Olympic medal winner for team USA! https://www.americasbestracing.net/the-sport/2017-olympian-bode-miller-targeting-derby-trail-en-hanse Morgan is a professional Olympic volleyball player for team USA! http://www.teamusa.org/usa-volleyball/athletes/morgan-beck We trained Bode & Morgan’s first two dogs a few years ago, we worked very hard to make them happy, and it was clear that our hard work paid off when we were invited back to train their new dog! Bode & Morgan are very nice people, and they definitely trust us with their dogs. Their dogs are very well cared for, and they do a very good job at enforcing the rules and boundaries. As you will find me preaching about quite often, the success of our dog training programs is primarily contingent on our clients following through with the program we lay out for them. So yes, you can refer to us as ‘Celebrity Dog Trainers’, but we like to think that we treat all of our clients like celebrities! K-9 Behavior Services offer dog boot camp training in Orange County, Coto De Caza, Laguna Beach, Laguna Niguel, Huntington Beach, Sunset Beach, Long Beach, Irvine, South Orange County, and surrounding areas. ​Los Angeles dog aggression boot camp offered in Los Angeles, Los Feliz, Culver City, Hollywood, West Hollywood, Beverly Hills, Bel Air, Hollywood Hills, Eagle Rock, Pasadena, La Canada Flintridge, Manhattan Beach, Malibu, and surrounding areas. 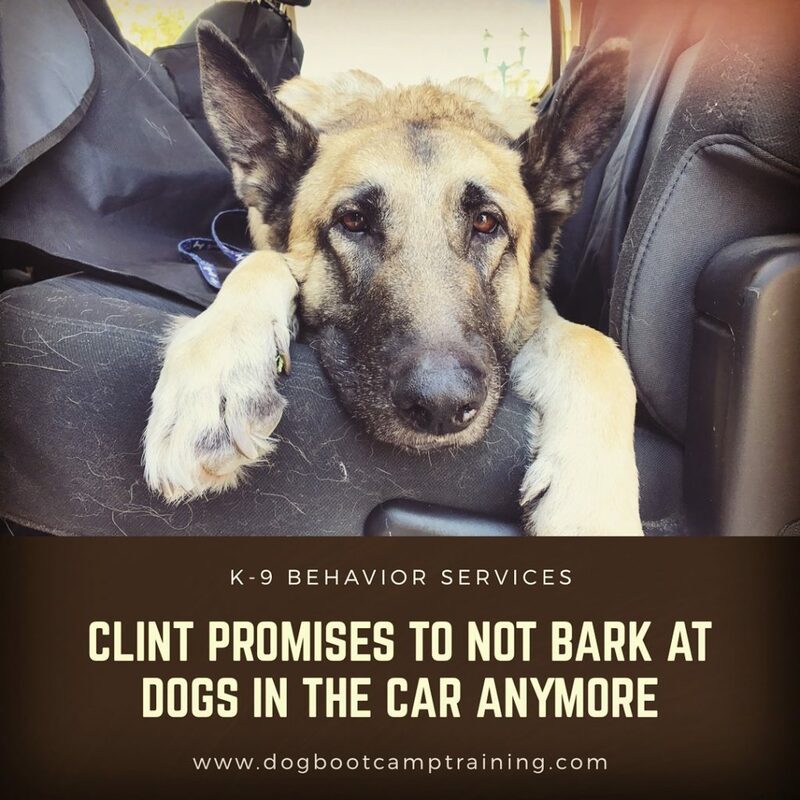 When we picked Cindy up for our Los Angeles dog aggression boot camp, she was barking and showing very protective and territorial aggression. Cindy didn’t really want to engage in a fight with us, she simply wanted to warn us that she wasn’t comfortable with us being so close to her and her Mommy. I did see, relatively quickly, that she was going in and out of being nervous with us so close, and then getting a little dominant, almost enjoying what she thought was her controlling the situation. It is very common for dog trainers, because many of them are controlling themselves, that they want to have all of the answers all of the time. However, even as a professional dog trainer for over 22 years, I can’t always put everything in a box, wrap it up in a cute bow, and hand it to my clients. What we do know is… how we need dogs to act, in order to keep them safe, the people around them safe, the dogs around them safe, the critters around them safe, and to make sure the big mean animal control office does not come knocking at our door! Cindy is only about 50 pounds and not too difficult to get under control. I am very confident that, with our help, her owner will get her under control pretty easily; even though it was hard for her to walk her around the block before training. We have to keep in mind that other breeds, like Rottweilers, German Shepherds, Pit Bulls, and other large and/ or powerful breeds, are not so easy to handle. If you contact us for training, please be prepared to put in the work in order for training to be successful! Those who put in the work will succeed, those who do not put in the work will not succeed, it’s that simple. We are very proud to be offering dog aggression boot camp training in Hollister, Paso Robles, Santa Cruz, Los Banos, Solvang, Lompoc, Santa Maria, San Luis Obispo, Pismo Beach, Atascadero, Morro Bay, Los Olivos, Monterey, Big Sur, Carmel By The Sea, Orcutt, Gilroy, and more! Clint is an amazingly sweet guy and a truly handsome GSD. However, he did have a little aggression towards other dogs. As a matter of fact, if there were other dogs, he would not care at all what his owners had to say. In the process of not caring, he actually hurt is owner so bad, his owner had to have hip surgery. We knew that Clint would needs some work. As a matter of fact, he is a very big and strong boy. Therefore, we had to take advantage of all the time we had with him, in order to get his training to the level we needed. We are happy to report that Clint is now home with his owners, and he is doing very very well! 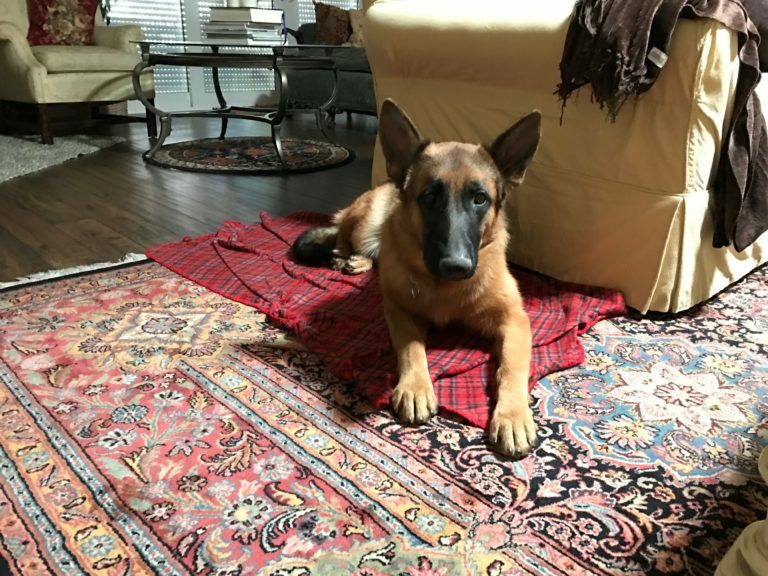 His owners were so pleasantly surprised with his progress and they are now able to spend the quality time with him that they always wanted to spend. Our dog boot camp aggression program is a two-week boot camp program that we have spent over 20 years perfecting. We are rave reviews and would love to share this training program with you! Call us today for more information. Train At A Young Age To Minimize Potential Dog Aggression Issues That May Become A Problem! Getting your dog in for training at a young age will make a huge difference when it comes to shaping behaviors that may become problematic as your dog is maturing. We offer a dog aggression boot camp that your dog can enter when he is fully vaccinated, which typically happens when your dog is about four months old. When puppies are you, they are much easier to shape and mold, as opposed to when they are older, matured, and bad behaviors are very habitual. Some dogs that come in for training at older ages actually have a tough time with compliance. Even if your dog is coming from a shelter or adoption situation, we highly recommend that you get him into training immediately! Most dogs end up in shelters because they have some behavior problem. Therefore, to let him come into your home with that behavior, may only be setting him up for failure. And, with over 3,500 dogs euthanized in our shelters every day, we definitely want to set all dogs up for success. We have had many cases lately where people cannot even walk their dogs down the street because of aggression issues. However, after a couple weeks of dog aggression boot camp training, they are able to take their dogs almost any where that want! In all of theses cases, it is of the utmost importance that our clients reinforce everything we have taught correctly! If you do not follow through with the training, you will not succeed. Call us today for more info on our Los Angeles, Orange County, Ventura County, and Santa Barbara County dog aggression boot camp dog training! Storm is a young male Husky from Sherman Oaks that came into training because he was a little unruly. Storm is very vocal, as many Husky’s are, but he did very well in the training program. Storm wouldn’t listen to his owner when he didn’t feel like. With some basic training, Storm now listens very well to his owner and his owner is able to do a lot more with him! We offer dog aggression training in Los Angeles, Ventura and Orange County. Including, dog aggression training in Valencia, Stevenson Ranch, Porter Ranch, Simi Valley, Thousand Oaks, Moorpark, Camarillo, Simi Valley, Santa Clarita, Coto De Caza, and beyond. Our dog training services are also offered in… San Diego, Del Mar, La Jolla, Chula Vista, Oceanside, Escondido, Carlsbad, El Cajon, Vista, San Marcos, Encinitas, La Mesa, Balboa Park, Carmel Valley, Core-Columbia, Hillcrest, Horton Plaza, Kona Kai Marina, La Jolla Village, Little Italy, Marina, Midtown, Mission Beach, Mission Hills, Mission Valley East, National City, North Park, Ocean Beach, Old Town, Pacific Beach, Park West, San Diego San Diego County, Serra Mesa, Wooded Area and surrounding San Diego county areas. Dog aggression boot camp training is also offered in Phoenix, Scottsdale, Cave Creek, Chandler, Paradise Valley, Circle City, Co-op Village, El Mirage, Fountain Hills, Gila Bend, Gilbert, Glendale, Goodyear, Guadalupe, Higley, Komatke, Laveen, Liberty, Litchfield Park, Mesa, Mobile, Morristown, New River, Palo Verde, Peoria, Queen Creek, Rio Verde, Sun City, Sun City West, Sun Lakes, Surprise, Tempe, Theba, Tolleson, Tonopah, Tortilla Flat, Waddell, Wickenberg, Wintersburg, Wittmann, Youngtown, Aguila, Ahwatukee, Anthem, Arlington, Avondale, Buckeye, Carefree, and surrounding areas. 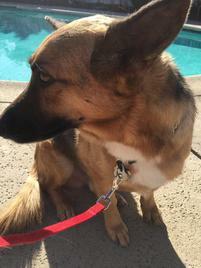 Dallas is a young German Shepherd Dog from Simi Valley that came to us with some dog aggression issues, such as barking at strangers, lunging at strangers, pulling on walks, and generally showing a dominant and controlling type of aggression. Dallas was a perfect candidate for our dog aggression boot camp program. It was beneficial for us to get Dallas out of his home and into our program so that we could work with him every single day. 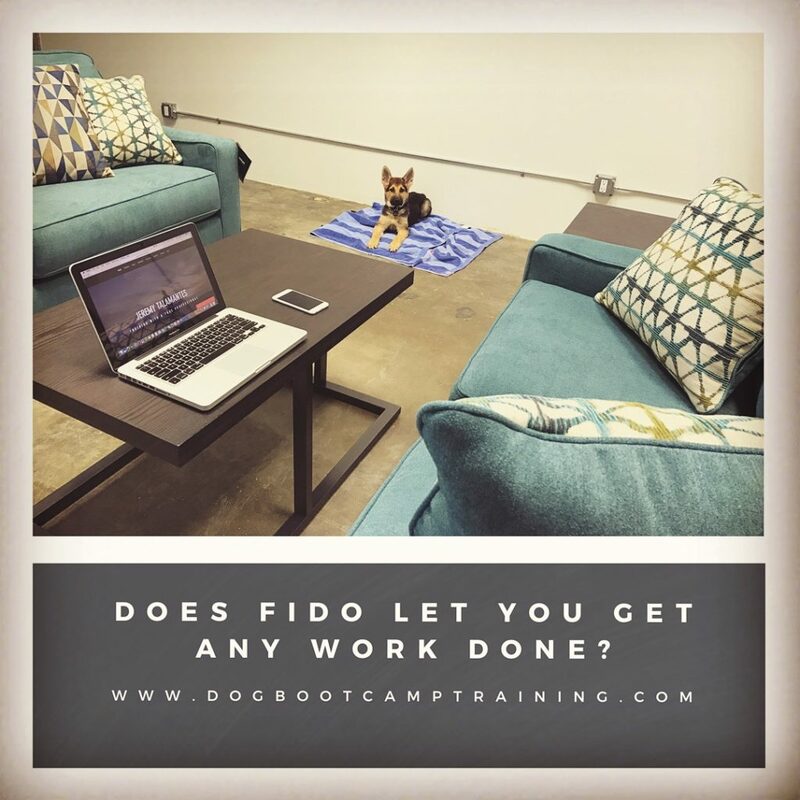 In our current dog boot camp program, we only take a couple dogs at a time and we literally work with the dogs all day, with interval breaks throughout the day. We are happy to report that Dallas is doing very well! We dropped Dallas with a two hour training session with his family, and we did a one hour follow up session about a week later. Dallas’ owners are now able to comfortably walk him with no aggression, he is now very manageable in the house, and he is a well mannered member of the family. Charlie is a dog aggression case from Camarillo, CA that came in for about two weeks of training. Charlie was literally standing on her back paws and lunging forward on the leash when she was picked up for training. Charlie was very protective of her owner! Charlie spent every single day with Jeremy as he worked on her tolerance and impulse control. On her drop off and follow up sessions, Charlie had made great progress, going from practically not able to be walked, to walking nicely and not lunging or barking at people or other dogs. Charlie is a great example of what can be done with proper training and a dedicated owner! Napoleon is a German Shepherd Corgi mix. He is a very sweet dog at heart, but he definitely has some aggression issues. Napoleon was entered into our Los Angeles dog aggression boot camp dog training program to minimize and manage his aggression. Napoleon had actually bitten nine people, and had recently bitten the owner’s neighbor, which resulted in animal control getting involved. Although it took a little time to convince Napoleon to get on board with the dog aggression training, he actually ended up doing very well and being a very good boy. Once returned home with a couple training sessions, his owners are doing a very good job managing his aggression. Los Angeles doggy boot camp trainer Jeremy Talamantes offers dog training in Studio City, Los Angeles, Beverly Hills, Bel Air, Venice, Culver City, Burbank, Glendale, Pasadena, Ventura and Orange County, Including, dog training in Valencia, Stevenson Ranch, Oxnard, Simi Valley, dog training in Camarillo, Coto De Caza, dog training in Moorpark, Malibu, and beyond. We offer Dog Boot Camp Obedience Training in Los Angeles, Orange County, and Ventura County. Including, Dog Obedience Training in Studio City, Pasadena, Culver City, Sherman Oaks, Burbank, the West Side, Manhattan Beach, Malibu, Camarillo, Valencia, Stevenson Ranch, Porter Ranch, Simi Valley, Thousand Oaks, Moorpark, Ojai, and surronding areas. We also have Dog Obedience Training clients in Orange County, including Dog Obedience Training in Irvine, Costa Mesa, Huntington Beach, and surrounding areas.